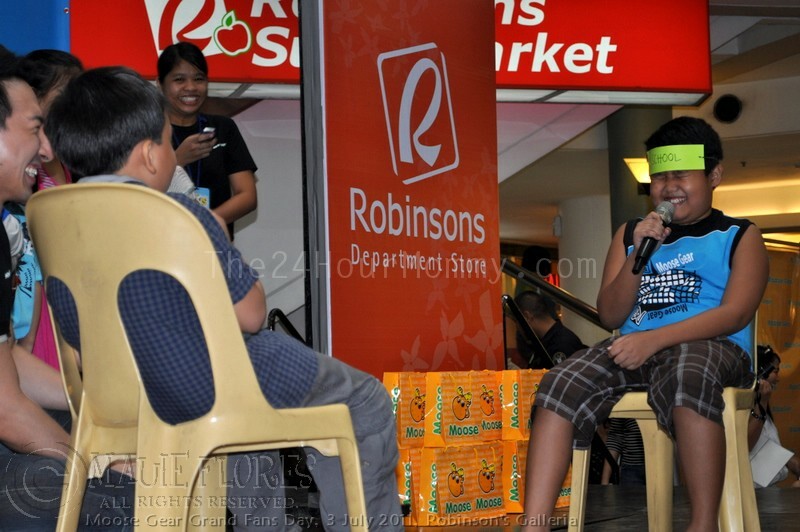 Last Sunday, the boys and I were invited to the Moose Gear Grand Fans Day that was held at the Robinson's Galleria activity center. 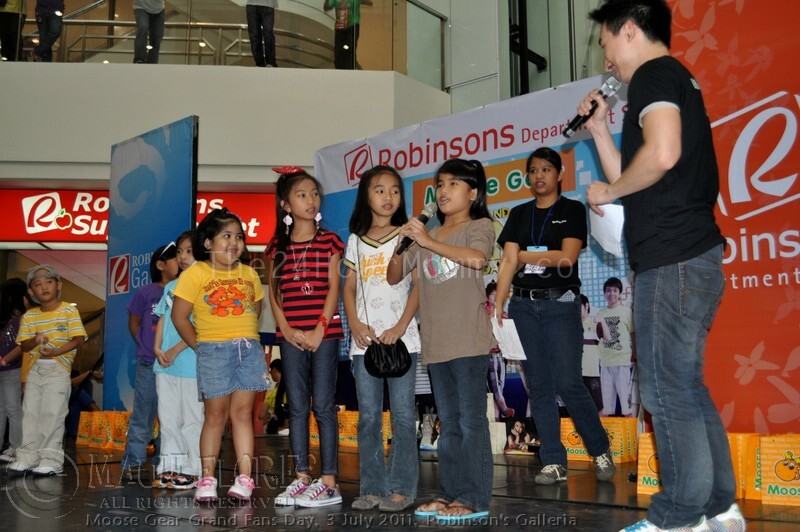 A number of Goin' Bulilit cast members and Moose Gear and Moose Girl endorsers were there to grace the event. They performed song and dance numbers for their fans. But before that, games were held much to the delight of the kid attendees. 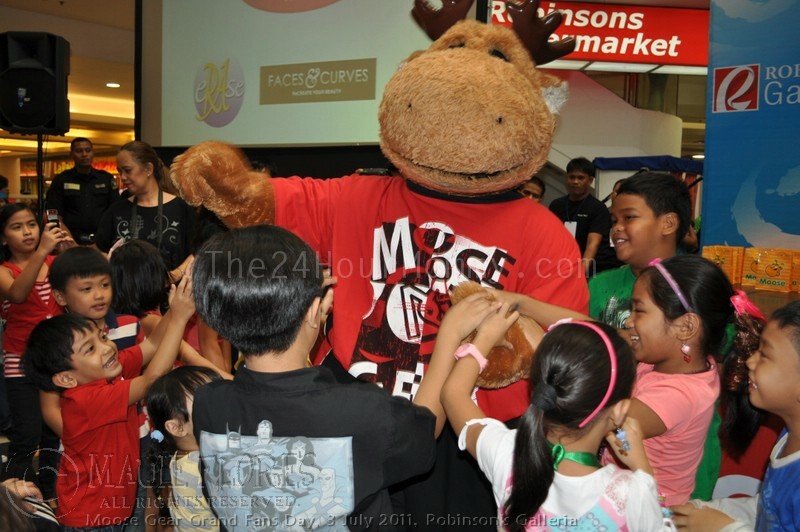 The Moose Gear mascot also came out and danced for the kids. See how loved he is! 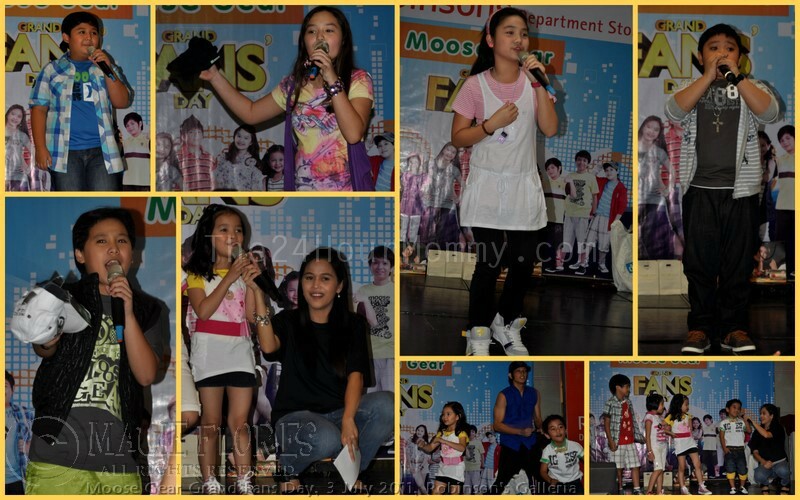 Moose Gear and Moose Girl apparel has proven to be the brand of choice not only by these Goin' Bulilit kids but also of moms like me. Their styles are not only hip and trendy but comfy as well because its made of 100% pure cotton. Speaking of the brand's huge popularity, it's not at all surprising to discover that Moose Gear has the largest number of Facebook fans for a local clothing brand. The Moose Gear online community has been active in the regular Pick-of-the-Month, weekly Moose Gear Playtime, and other promos. This amazing support from the online community inspired the brand to launch its very own website which they have specifically designed not only to be a product site but as a community portal as well. Moose Girl is exclusively distributed at SM department stores, while Moose Gear is available at leading department stores nationwide. To be updated in their latest promos and events, kindly LIKE the Moose Gear Facebook Fan Page (www.facebook.com/moosegear) and visit the Moose Gear website (www.moosegear.com.ph). We really love MOOSE GEAR..